More graffiti. 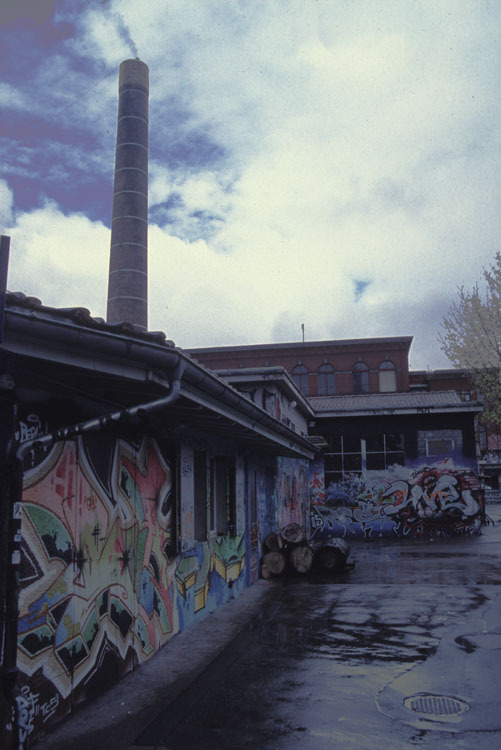 This building is actually an art school and was the source of all the graffiti in the area. As far as I could tell, each student got a section of wall to work with and the art was probably re-painted each year (because just about all of the pieces were signed 2003 or 2004).